Austin Technology Council (ATC) today announced a new program of the upcoming CEO Summit: the ATC Startup Showdown. The ATC Startup Showdown will feature six startup technology companies, selected from a pool of submissions, who will earn stage time to present their business at the end of the CEO Summit. Any qualifying founder or C-level executive of an early stage company who is also registered for the CEO Summit is welcome to submit an application at: http://austintechnologycouncil.org/events/ceo-summit/startup-showdown/ Submission deadline is 5 pm Central time, May 11. Overall information on the Summit, including registration, can be found at http://www.austintechnologycouncil.org. 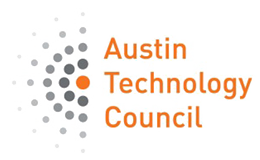 The Austin Technology Council CEO Summit will be held in Austin Thursday and Friday, May 17 and 18. On Friday, to wind up the Summit, immediately following a panel discussion of several national Venture Capitalists about investing in Texas, the six selected participants of the ATC Startup Showdown will each get six minutes on stage to present their businesses. The presentations will be to the entire Summit attendance, but specifically directed toward a panel of VC judges, including those national VCs from the panel such as Insight Venture Partners and NEA, as well as Central Texas area VCs including DFJ Mercury and Silverton Partners. These judges will share real-time feedback with the companies at the end of the presentations, and ultimately name a winner. For companies seeking early stage investment, the ATC Startup Showdown offers access to an audience of dozens of national and local venture capitalists, private equity and angel investors and funding sources, as well as hundreds of peer technology company leaders across Texas. The open submission process will be culled down to six finalists as selected by the ATC board of directors. The six will each get six minutes on stage to present from six – or less – slides on what their company does, why it matters, its disruptive potential, market feasibility, business model/methodology, competitive advantage, and exit strategy. The judges will score each company from 1 to 10, and at the end, an ultimate winner will be chosen. Again, the link to the online application form can be found at http://austintechnologycouncil.org/events/ceo-summit/startup-showdown/ and submissions must include a non-confidential executive summary, and be received by 5 pm Central Time on the May 11 deadline. The Austin Technology Council CEO Summit 2012 expects to draw 300 CEOs, CTOs and CFOs from all across Texas, building on the 100 CEOs from the Austin area gathered May 2011. The two-day Summit, Thursday and Friday, May 17 and 18, will be held at the Hilton Austin. Admission is $399 through May 4 and late registration of $599 through May 11. Registration, open now but filling fast, will close at 5 p.m. May 11. Companies that purchase a membership to ATC will receive $100 off of registration. Registration is currently open for qualifying Texas-based technology executives at http://www.austintechnologycouncil.org. Information including agenda, speakers, and sponsors will be announced on the ATC website as updates are available. Press and bloggers are welcome to attend, and may contact Laura Beck at laurabeckcahoon@gmail.com for information. Some 2012 sessions surrounding some content may be closed to press. With more than 6,000 members and friends, 1,200 C-level executive members, and 240 member companies, the Austin Technology Council (ATC) has been focused on the growth and success of the Austin tech community since 1994. Members reap the benefits of premier professional development; insight and feedback from peers; the best in industry data to help grow businesses; and opportunities to give back to the Austin community through charitable initiatives. Current ATC board members are leaders at companies or organizations like Austin Technology Incubator, CacheIQ, Gazzang, Homeaway, IBM, PeopleAdmin, Samsung, Spinal Restoration, Spredfast and Vinson & Elkins. More on ATC can be found at: http://www.austintechnologycouncil.org or @ATCouncil on Twitter.